“We are unapologetically the best uploading technology in the world.” Says Filestack CEO, Sameer Kamat. “Along with that comes intelligence into assets, streamlined content workflows, and distribution of data through CDN. That’s where we’re building now." Today Filestack, the file ingestion API powering more than 100,000 applications, welcomed veteran product leader Sameer Kamat to the team as CEO. Kamat joins Filestack from Unitrends, a company specializing in backup and business continuity, with a strong background in product management and engineering. Kamat intends to make Filestack not only the best file uploader in the world, but also the de facto standard for file processing and management within applications. Over the course of the previous 12 months, Filestack’s product and business offering has become increasingly geared towards solving the uniques challenges of enterprises and web-scale tech companies who handle large volumes of data. These changes are evidenced by today’s launch of Filestack Intelligent Ingestion and new pricing for high volume users. Kamat’s leadership building and supporting enterprise-class products will accelerate this momentum. As CEO, Kamat hopes to take advantage of Filestack’s early leadership in the file uploading industry to create an end-to-end solution for user generated content. According to Gizmodo, 300 million photos are being uploaded to Facebook alone everyday. More content is being created and shared online than ever before, and this content poses new challenges to application developers, who want to engage users through their images and videos. Upload speed, reliability, and an uninterrupted user experience are all fundamental to high performance user generated content applications. As sharing images, documents and videos has gotten more pervasive, more and more developers rely on Filestack to handle file ingestion. Over 75,000 developers use Filestack in more than 100,000 applications, including large clients such as Coca-Cola, Sendgrid, and JibJab. In the last year, the Filestack team size has doubled to thirty people across two offices in San Antonio, TX and Krakow, Poland who continue to advance their technology and support their user base. By implementing Filestack’s state of the art uploading, developers guarantee high performance and can reduce customer abandonment due to timeouts or slow upload times. 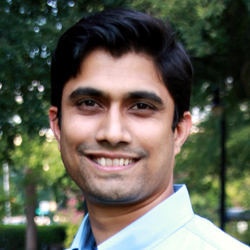 Kamat sees file ingestion as only the first step to managing user generated content at scale. After the assets are uploaded to the application, they need to be stored, processed and delivered to the end user. Under Kamat’s leadership, Filestack has been ramping up its asset management capabilities to handle entire content workflows. Filestack is a developer service for file management in the exploding realm of user-generated content. Filestack allows software developers to integrate more than 25 of the world’s leading social networks and cloud drives with just a few lines of code. End users can upload content from websites and mobile apps like Facebook, Instagram, Dropbox, or wherever that content is stored. Filestack enables developers to upload and store large files, transform and manipulate images and other file types, and deliver content with blazing speed, responsively, across any type of desktop or mobile device. Filestack is headquartered in San Antonio, Texas and powers more than 100,000 applications around the world.